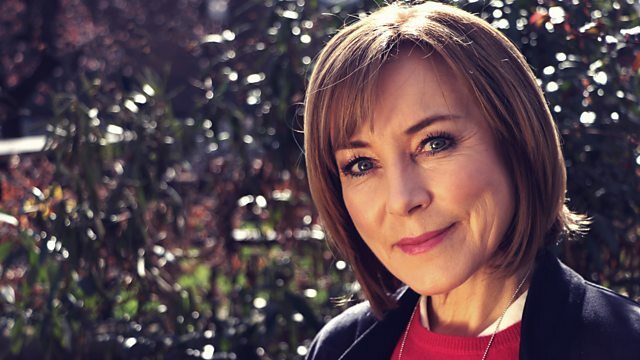 Sian Williams presents an appeal on behalf of Hope Support Services who help the children of those who are diagnosed with a life-threatening illness. Browse content similar to Hope Support Services. Check below for episodes and series from the same categories and more! hearing the words that I've dreaded since I was little. instantly thought, "Oh, my God, what's going to happen?" the hope sort of flew away a bit. erm, and see her growing up. and it was the most difficult part of my life. who are aged between six and 23, would cope with the news. close family member is faced with a life-threatening illness. online support to young people from the ages of 11-25. It completely turned my world upside down. And Emily is not alone. means there are potentially 450,000 across the UK who may need help. It's quite difficult living with someone who is constantly tired. and you just want to be there for them. I think Emily's lost out on an awful lot of her teenage years. Erm, it should have been the other way round. seriously ill parents so they know their children are being supported. I was struggling a lot at school. and my student mentor referred me to Hope. Everything just started going up from there. and any young person can self-refer, too. a particularly bad day, or I just fancy a chat. It's really comforting to know there's someone there. cope with what they might be going through. you don't really get time to have any time to yourself. It's very difficult for us to do activities. You have to constantly be grown up and forward-thinking about things. But with Hope, they've made me feel like a kid again. the same thing as you. throughout the UK, which means they can access help whenever they want. In 2011, my dad was diagnosed with colon cancer. that we were going to stop all treatment. everything was just getting on top of me. I started to feel less normal, and started to feel quite suicidal. Nine months ago, Mel's father died. I'm close to my mum and my brother, but we don't talk about things. what I was struggling with inside my head. maybe two to three times a week. because they really knew what I was going through. a trained therapist hosts a weekly online discussion on social media. and the effects are immeasurable. that we want to talk about, and then it just goes on from there, really. any worries at home, and then she steps in and gives any advice. This allows young people to access support anonymously. I probably wouldn't have attended. uni work and talk to somebody on Facebook at the same time. And Hope isn't just a bereavement service. until they feel they don't need it any more. erm, and I probably wouldn't be here. and I don't know what I would have done without them, to be honest. to want to protect your child. But I know that somebody will be there in my place. it's a great, great sort of comfort to know. -I love you. I love you. to know that their children can get help. But to do that, they need you. the charity needs financial support, so please give generously. and the whole £10 goes to Hope Support Services. ..writing "Hope Support Services" on the back of the envelope. Sian Williams presents an appeal on behalf of Hope Support Services. Hearing the words 'you have cancer' is hard enough, without having to worry who will look after your children. Hope Support Services help the children of those who are diagnosed with a life-threatening illness. Sarah has been diagnosed with terminal cancer and has peace of mind knowing that her 17-year-old daughter Emily, has a break from helping to care for her by going to local youth sessions. Mel's father passed away nine months ago, and she is now away at university. She can access Hope's online service, which helps her to connect with others going through the same thing.